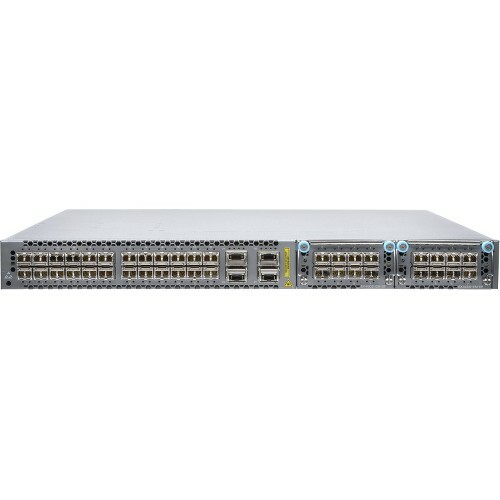 The used Juniper EX Series includes a variety of switches that have access, aggregate and core networking capabilities. Most EX Series switches feature a small footprint, which makes them ideal for enterprise network environments and facilities that have limited space for hardware. As an independent dealer of used Juniper hardware, Brightstar Systems stocks and resells high-quality pre-owned Juniper EX Series switches at a competitive price, and delivers excellent service and support. 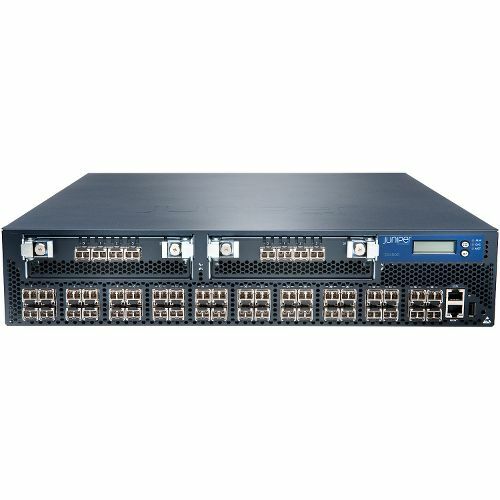 Discover detailed information below about our various offerings of used Juniper EX Series switches. 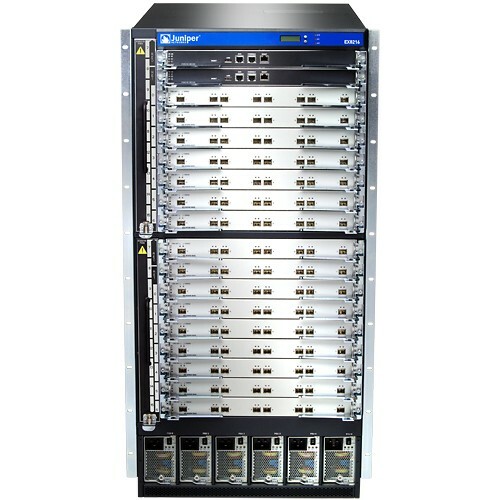 The entry-level subseries in the Juniper EX Series switches, including the EX2200, the EX2300, the EX3300, the EX3400, the EX4200 and the EX4300 are all 1 RU (rack unit) in size and are fixed switches. 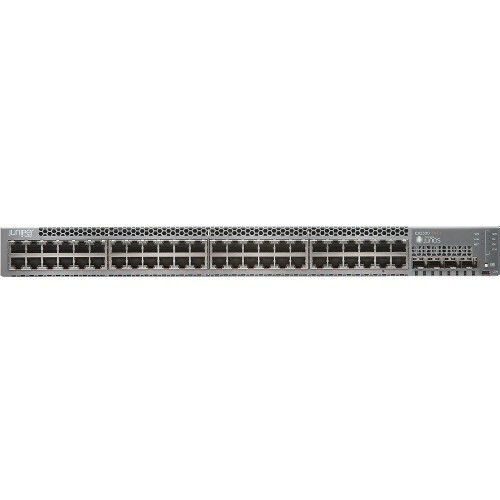 Although the port configurations on these switches are mostly 1G Ethernet ports, some of the subseries feature additional higher-speed ports. 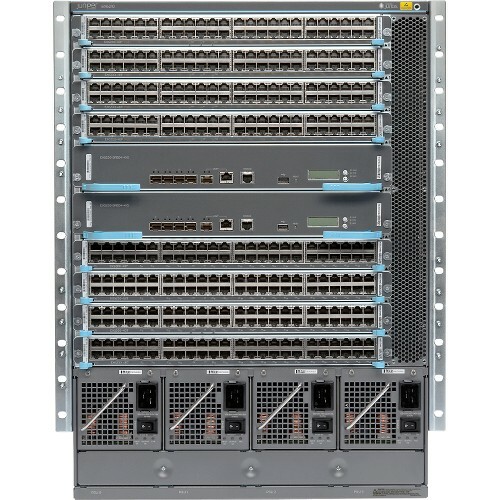 The EX2300 and the EX3300 support up to 10G Ethernet, and the EX3400 supports up to 40G Ethernet. The EX4200 only supports up to 10G Ethernet, while the EX4300 supports up to 40G Ethernet. This tier of the EX Series includes the EX4550 and the EX4600. These switches are also only 1 RU in size. The EX4550 is designed as a fixed switch, whereas the EX4600 features some modular components. The EX4550 and EX4600 both support up to 40G Ethernet. Although there is only one 100G Ethernet switch, the EX9200, in the EX Series, it’s available in three different chassis, the EX9204, the EX9208 and the EX9214, each of which has different specifications. The EX9204 is the smallest chassis at 5 RU; the EX9208 is 8 RU, and the EX9214 is 16 RU. A larger chassis can hold more line cards, which allows for more ports and greater flexibility in how ports are configured. The EX9204 can hold up to three line cards; the 9208 can hold up to six line cards and the 9214 can hold a total of 12 line cards. The strongest attribute of the EX Series is that it offers an entire spectrum of networking solutions. 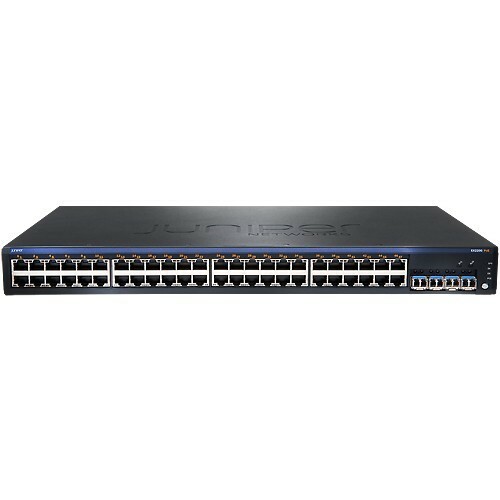 But because it’s mostly made up of access switches as opposed to aggregate and core switches, it does not feature the same level of port diversity as some other Juniper switches, such as those in the QFX Series. The ports on many QFX Series switches are extremely versatile, and can be used with a variety of cables and optics to support several combinations of Ethernet speeds and ports. 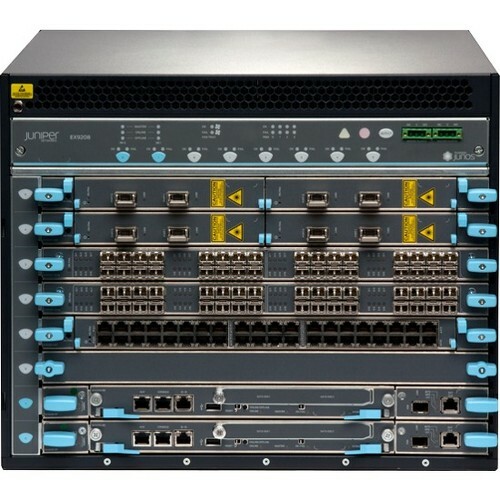 Juniper EX Series optics – as a whole – are more limited than optics supported by QFX Series switches, due to the high number of access switches in the series. 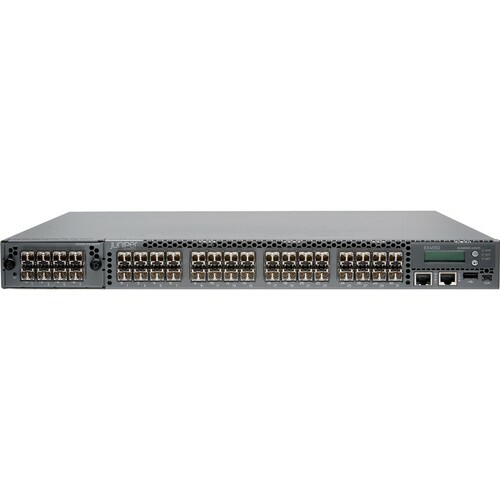 But used EX Series switches that are designed for aggregate and core applications, specifically the EX4550, the EX4600 and the three EX9200 chassis, offer some flexibility in their port configurations and support several different optical form factors. 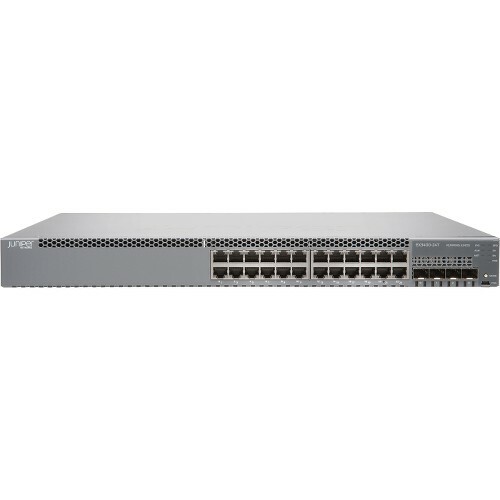 This page provides a brief overview of the pre-owned Juniper EX Series of switches. But if you’re looking for more information, such as datasheets and price lists, BrightStar Systems can provide those items as well. 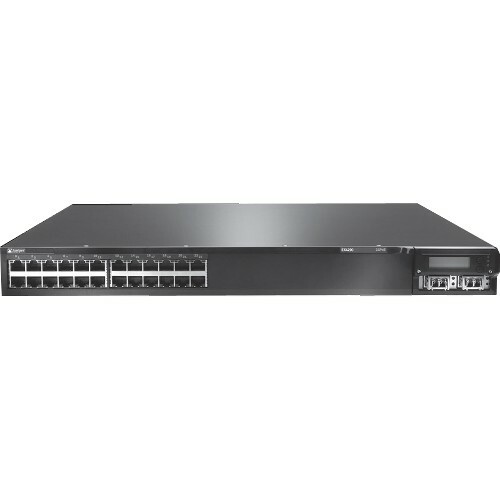 It’s important to us that you order the right used Juniper EX Series switches. 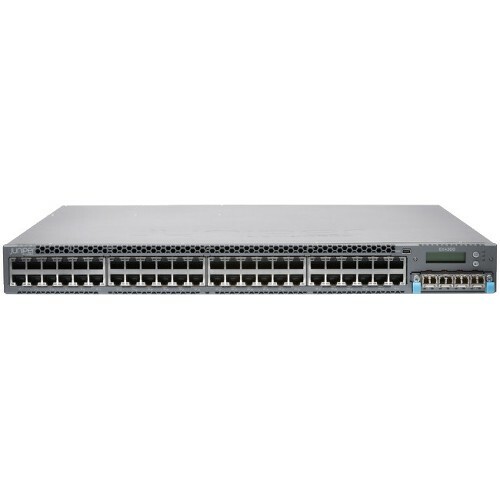 In order to make that happen, we understand you may need to review in-depth specifications and compare the EX Series with other spare Juniper switch series. 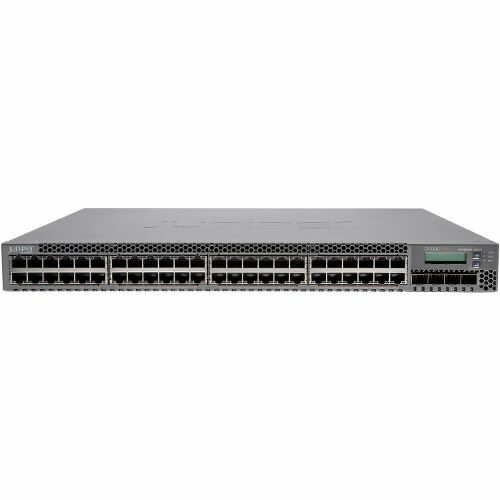 Purchasing networking equipment can also be an expensive line item on your budget, and we want you to be able to review our price lists in detail when looking at our pre-owned Juniper EX Series switches. We can send you price lists so you can determine what kind of purchase makes the most sense for you. Please contact our support team today to find out more about our used surplus Juniper EX Series switches, and to find out which models we have in stock.